Welcome to the sixth installment of the Flashman papers. To the uninitiated the cad and bounder from Tom Brown's School Days left several volumes worth of manuscripts detailing his adventures from when he left school. 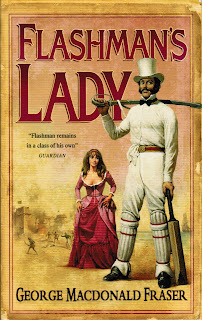 This volume starts with a chance meeting with Tom Brown who talks Flashy into playing a game of cricket for his old school. 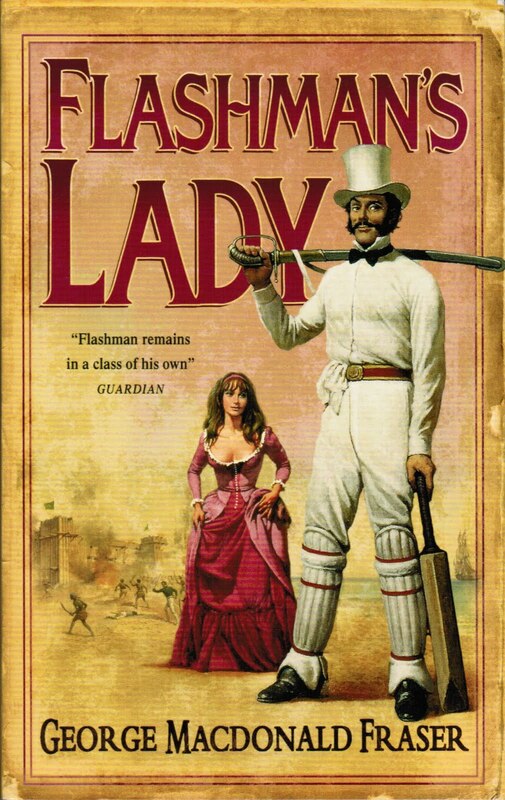 Of course Flashman ends up getting a hat trick at Lord's. But then gets into serious trouble with a bookmaker. The adventure continues when his wife gets kidnapped by a pirate and the story travels through Sarawak meeting James Brooke ,the White Raja and onto Borneo and Madagascar. Most of the historical figures encountered actually existed. As with all the Flashman stories, historically they are very accurate apart from the hero himself who is entirely fictional. He managers to "roger" anything female he encounters and run away from anything that would require the slightest bit of courage. If you have ever wondered about where brothel cricket originated, you need look no further than here. All these stories are good fun and worth a read ideal for the plane trip or beach.